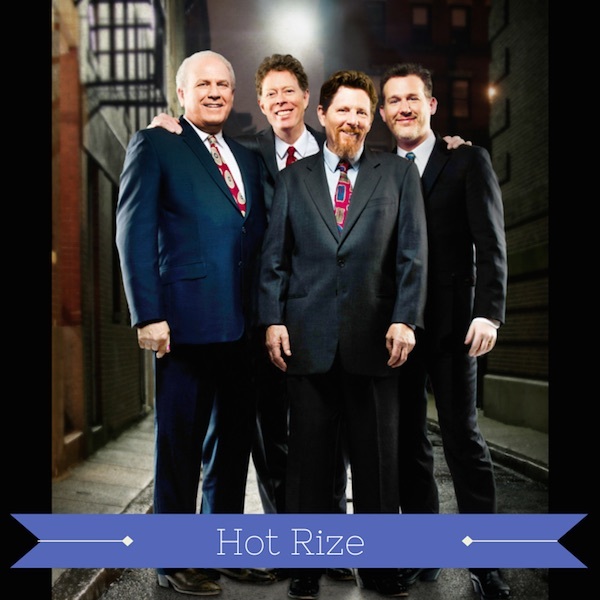 After a 24-year hiatus, Hot Rize is back and ready to take the ROMP stage. Tim O’Brien (mandolin, fiddle, vocals), Pete Wernick (banjo – “Dr. Banjo), Nick Forster (electric bass, vocals), and Charles Sawtelle (guitar, vocals) first appeared onstage together in 1978. By the time they bowed off the stage as a full-time act in 1990, they’d climbed to the top of the bluegrass world as the International Bluegrass Music Association’s very first Entertainers of the Year. Their stature was also recognised with a nomination for a then-new bluegrass Grammy, a four-star album review in Rolling Stone, tours on four continents, and a legion of up-and-coming musicians singing their praises. When the band retired, it was natural for the members to create distinguished careers of their own, which they did, in spades. But Hot Rize refused to disappear. When Sawtelle passed away in 1999, the surviving members brought the brilliant guitarist Bryan Sutton on board and kept the flame burning with occasional shows for new generations of fans. Now, 24 years after their last studio album together, the band brings an even deeper strength and insight to their music. When I’m Free, the band’s new CD, was a collaborative effort to shape new songs and lyrics representative of Hot Rize’s current identity. Once they began co-writing, everything fell easily back into place. That work was, in many ways, the glue we needed to cement us back together – Tim O’Brien.